Turn your little kids to mini chefs by playing games with our sweet looking wooden kitchen set. Featuring a well-equipped kitchen with cabinets, stove, pot, frying pan, wooden shovel, scoop, cruet, vessel sink, faucet. Your child can flesh out his or her culinary fantasy with great role plays among siblings or friends, and acquire priceless social life skills along the way. The Play Set offers ample storage space for toys or other play accessories. Also, it is designated eco-friendly and finished in non-toxic paint. 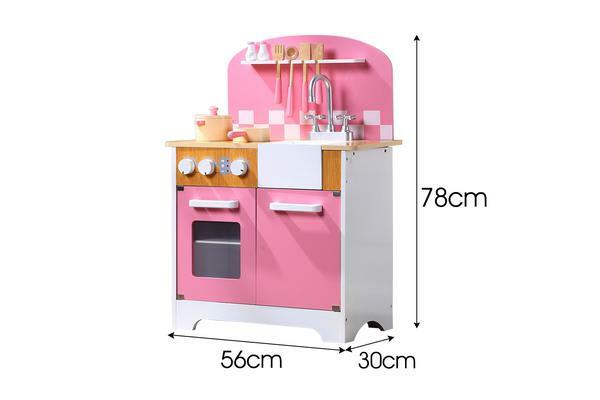 What’s more, the solid wood and MDF board construction also help to make this Kitchen Play Set very sturdy and durable. 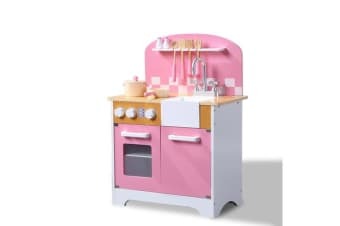 With close attention to the details and interactive features, this adorable kitchen would be a great gift for any young chefs in your household! Place an order now and see the smile on the little one’s face when they start playing the chef role! 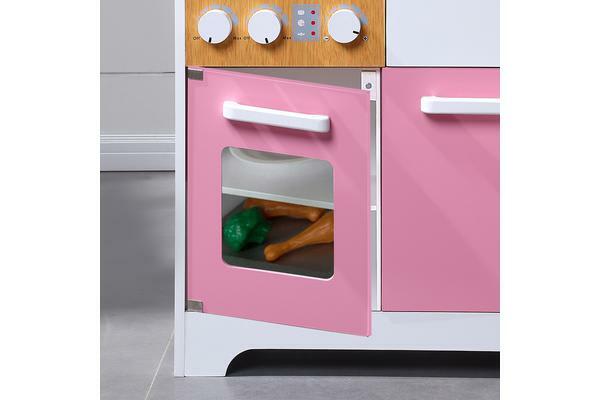 Ample storage space for toys, cookware, books, etc.